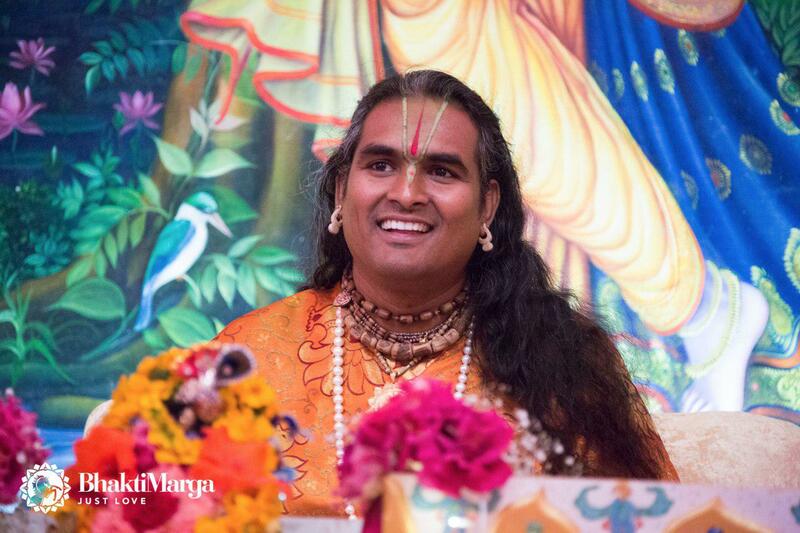 Day 6 of the Bhagavad Gita course was a particularly significant day, as it was on this day that Paramahamsa Vishwananda covered chapter 12, "Bhakti Yoga," - the path of devotion. 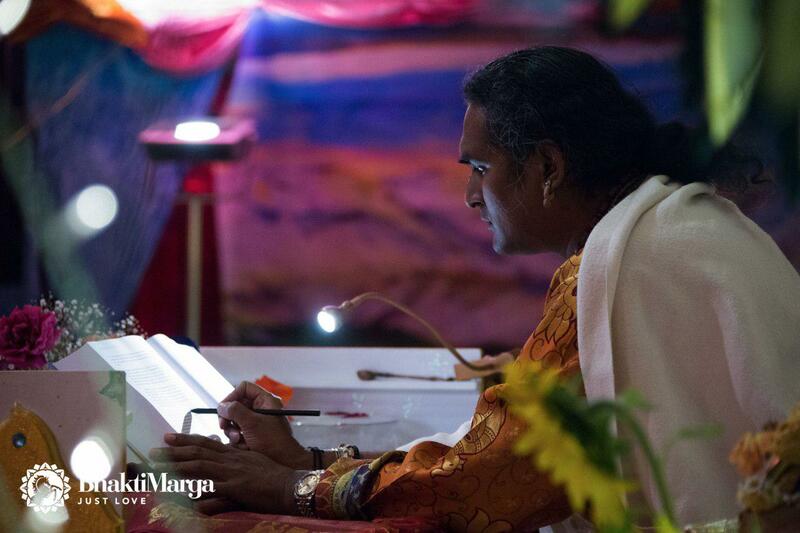 In addition to chapter 12, Paramahamsa Vishwananda also gave commentary on chapter 13 and 14. After Arjuna had seen the Cosmic form of Krishna, and heard the profound teachings, he wants to know which is the best path: the path of devotion or the path of wisdom. Arjuna is asking if it is better to approach the Lord as an impersonal God, or as the personal deity. 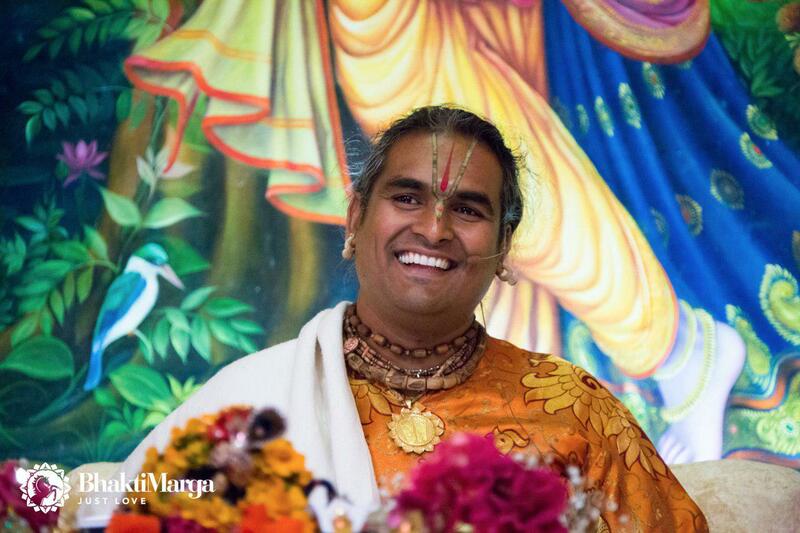 Krishna explains in the chapter of Bhakti Yoga, the various qualities a true devotee possesses, and how these qualities make one dear to Him. "Let every expression of your daily life become a prayer, not only when you sit and meditate, not only when you sit and pray, but every obligation of your life. Even if you are sitting and talking, let it be a prayer. Even if you are joking, let it be a prayer. You are dancing, let it be a prayer. You are eating, let it be a prayer. You are working, and so on. 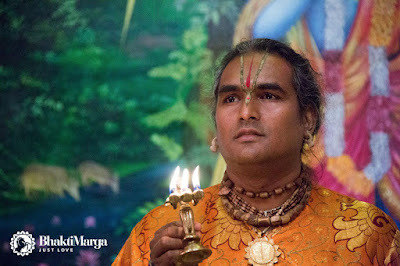 Let all what you do with the senses, let all what you do with your mind transform into prayer onto the altar of the Lord. 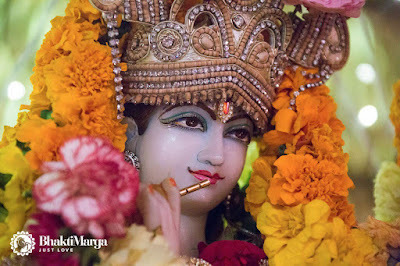 In chapter 14, Lord Krishna continues to teach Arjuna the Sankhya Yoga philosophy, and it is in this chapter that Lord Krishna focuses on the three gunas (the controlling principles or 'tendencies' of the mind, body, and consciousness): Sattva, Rajas, and Tamas. Lord Krishna explains that these gunas pervade all of Prakriti, the material manifestation, and together they form the nature of the creation. 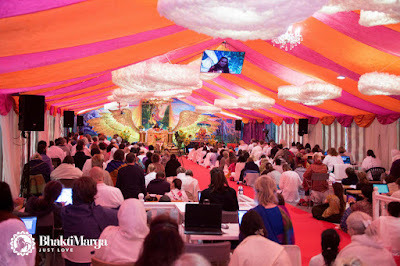 Day 6 of the Gita course was a day that continued to deepen each participants understanding of the spiritual path more and more. But as Paramahamsa Vishwananda has reminded, it's up to each person to put the teachings into practice. May we all surrender to the Master and continuously chant the Divine Names!